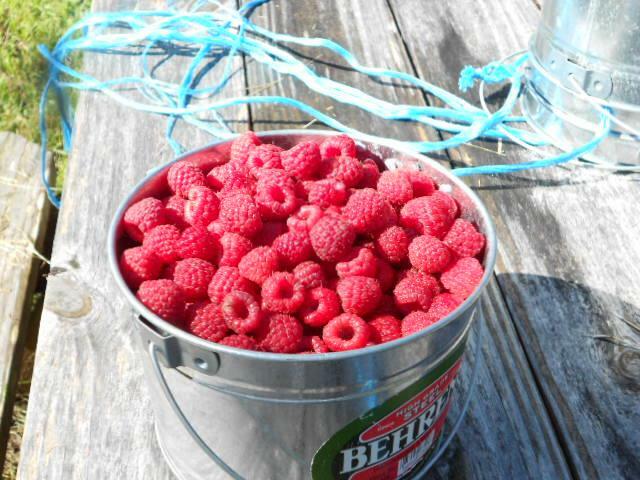 We love raspberries! 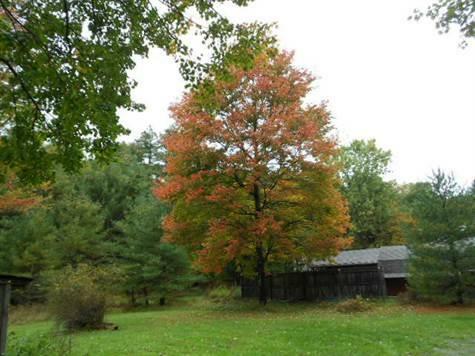 And we're happy to share them with you at our Pick-Your-Own patch in Eldred NY. 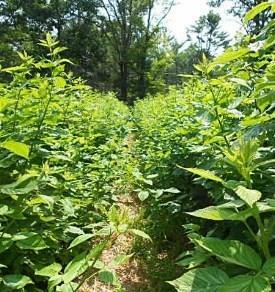 We have two primary producers, the Heritage and the Annie varieties, available for you in our well manicured field. 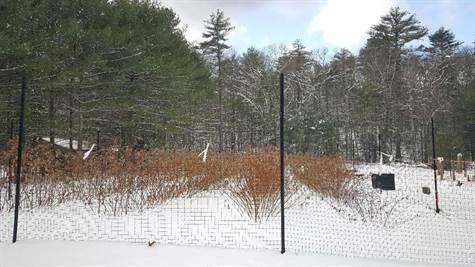 The expected season is mid-September through the end of October, but weather being what it is, these times may be adjusted by weather conditions. Please check the sidebar for current pricing, schedule and crop availability. 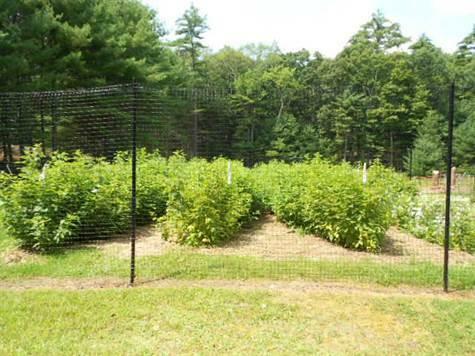 We use no pesticides and our canes are never sprayed. 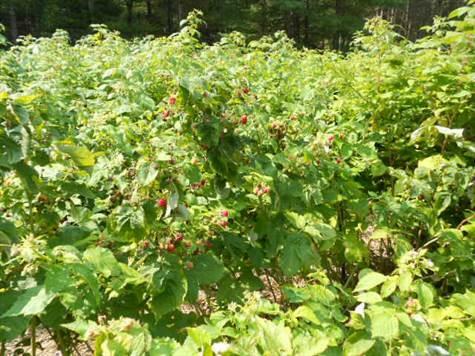 There's nothing like a natural, fresh raspberry and we encourage our guests to sample a berry or two while enjoying the sunshine, sounds of nature and abundant picking. 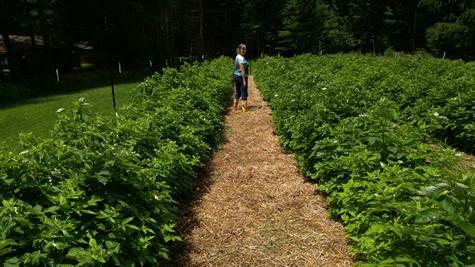 While growing raspberries takes time and devotion, there's nothing hard about growing them- keeping them corraled is another story. They want to grow and once you have an established planting, they'll suprprise you with their generosity. Raspberry season starts in the dead of winter! 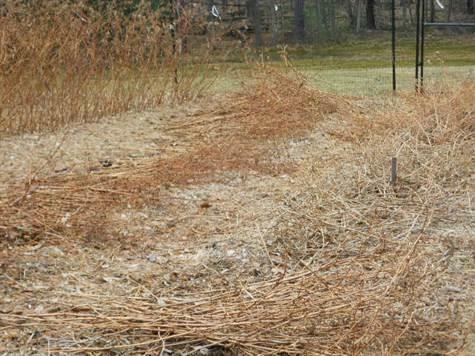 The canes must be cut to the ground in winter while they are dormant. We tried a weed wacker with saw-type attachment, then a hedge trimmer but ultimately resorted to hand pruning. The field must be cleared of all cut canes to prevent the transfer of disease and though the canes are light, it's still a big job. The canes are loaded onto a wagon and carted from the field. 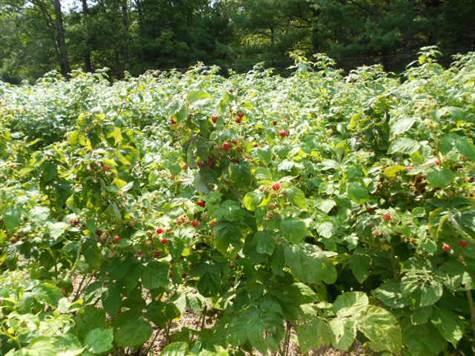 Raspberries spread by sending shoots out under the ground. 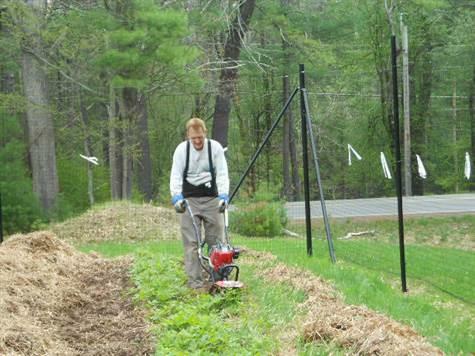 In the spring, the rows must be cut back to 12 inches wide and meandering canes are rototilled in. Rick is marking the rows. After rotilling, drip irrigation is laid down the rows. The plants get 1.5 inches of water a week. 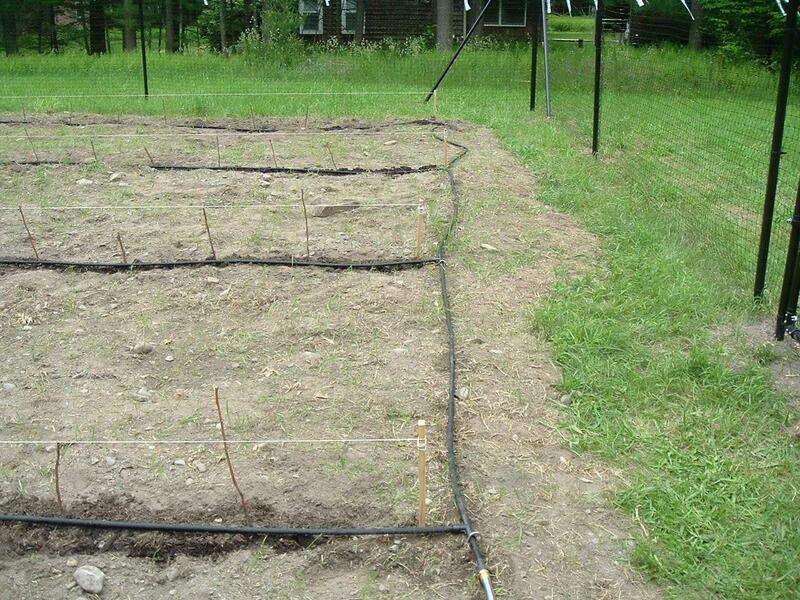 (photo from the first year) The irrigation lines are taken up each fall, stored in the shed and re-laid each spring. 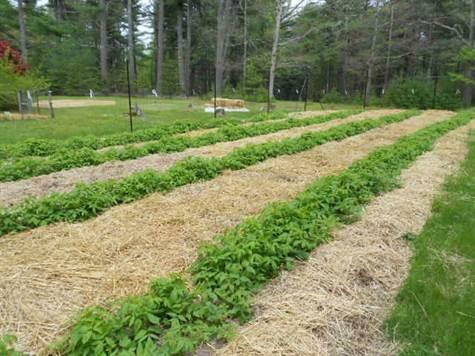 Once the rows are established and have grown about 8" tall, 6" of straw is spread on the field as weed control to discourage the runners from spreading. We pile it about 8" along the plant line to block out the cane's natural urge to spread. In spring, it's all hands on deck. My sister Tracy helped with the straw. Spring chores are done and the field is ready to grow. 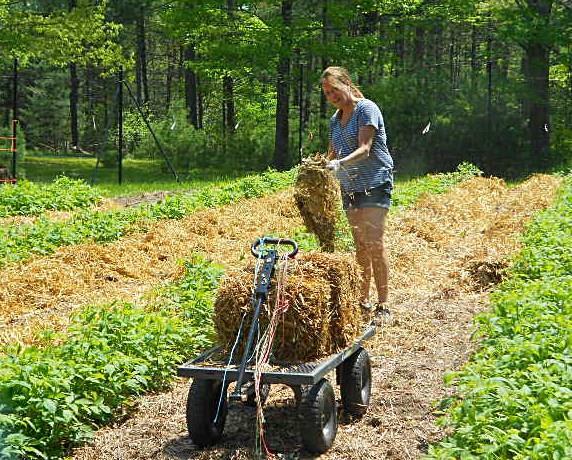 A light spread of compost, generous serving of compost tea or other organic fertilizer is applied to the rows. 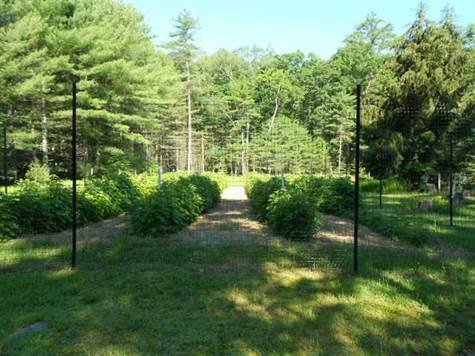 By the end of May, the raspberry canes have reached half their height. Even in the heat of summer, the canes continue to grow. Berry rows in July. By mid-August, the canes are getting so tall and heavy that they start to fall into the picking isles. 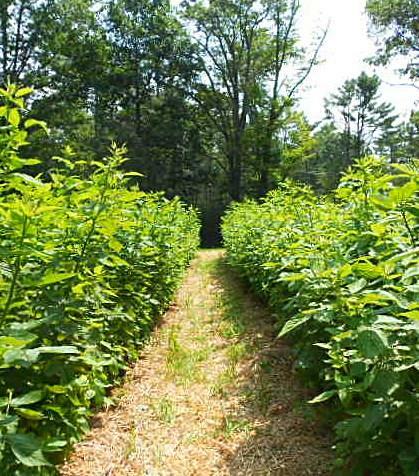 As soon as the fruit starts to set, the field is abuzz with bees so having cleared walk-ways is important. The first year we used a hedge trimmer to widen the rows- but lost half our crop!! Now I hand prune. The berries form in a cluster at the ends of the canes. Then a couple of weeks later, a second set forms further down the cane. 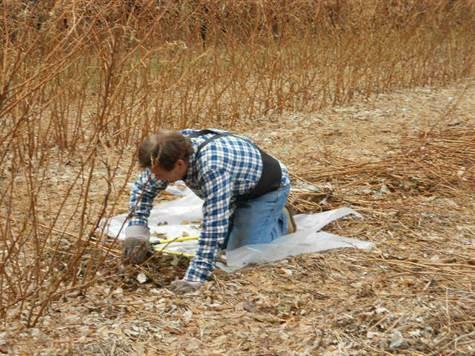 By hand pruning, I can cut off the first set where needed and the second set matures faster, leaving a good crop. Our picking stand is a simple picnic table with umbrella. It's large enough to hold a scale, picking buckets and other items for sale during the pick-your-own berry season (gourds and dried flowers). Our Annie variety comes on a bit earlier than our other variety which helps to extend the season. Heritage variety, ripe and ready! 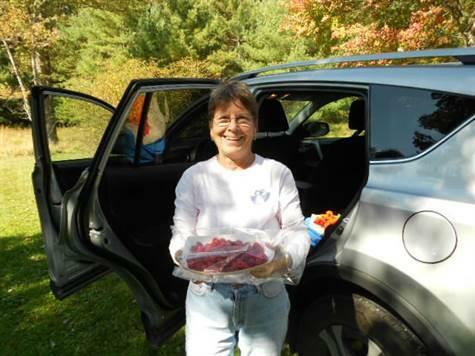 People do enjoy an opportunity to pick raspberries, as evidenced by this happy picker! Families love an outting to the farm- it's Family Picking Fun! 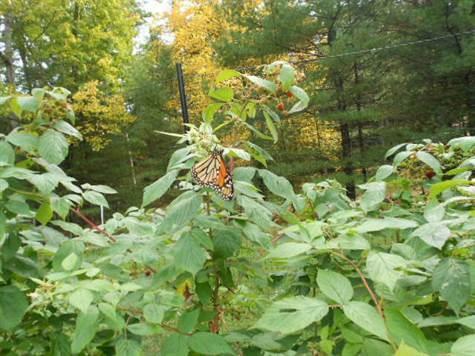 An incredible diversity of bees, butterflies and other insects enjoy the garden, too! A beautiful fall crop of berries compliments leaf-peeping so well! 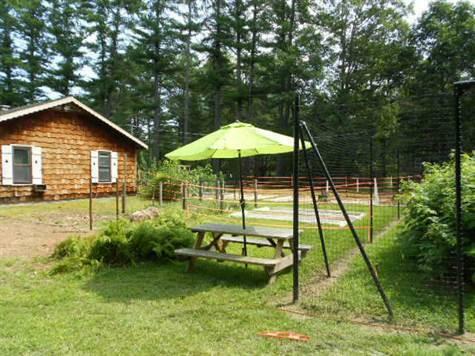 The farm is located in Eldred, New York at 681 State Route 55, just 1 mile north of Eldred Four Corners. Picking buckets will be provided for you. We provide carriers to transport your berries safely home. Free gourds for the kiddos! 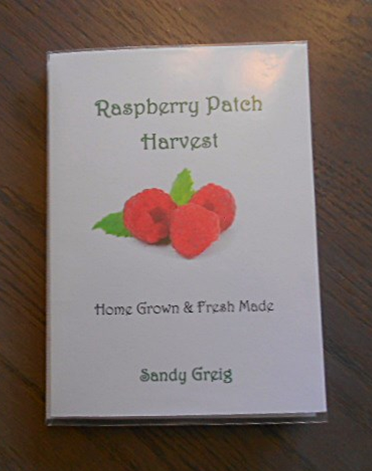 Raspberry recipe books, homemade raspberry jam and dried flowers also for sale. 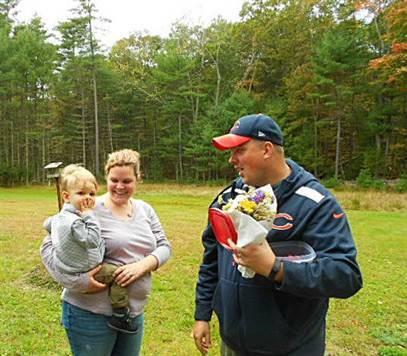 Thank you for coming out to the farm and enjoying our berries and flowers. If you'd like to be on my mailing list for farm updates, life style tips and other stories of what makes rural living so compelling, email me HERE. Your info is safe with me- no spam and I never sell my list. 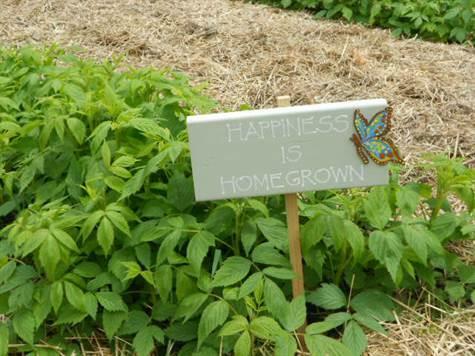 My passion for raspberries goes back many years but to have home grown berries is the best! I've collected my favorite recipes in this little book and am happy to ship it to you if you can't get to the farm. Just $7.50, shipping included. Email me- Sandy@BringingtheFarmHome.com for details.